The council offers an MOT service for cars, motorcycles, and vehicles up to 3.5 tonnes. 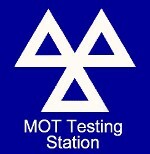 Book your MOT test with us today! We can test your car, van or motorbike at our Grantham depot. We don't offer repairs just a straightforward MOT test so you know how roadworthy your vehicle is. If it needs repairs you can take it to whoever you choose and then bring it back to us for a free retest. We can test any vehicle in Classes 1, 2, 4 and 7 by appointment. The test station is on Mowbeck Way, off Alexandra Road in Grantham. We are open from 8am to 4pm Monday to Friday with the last test appointment available at 3pm. We are very close to Grantham town centre so you can leave your vehicle with us and go into town while the test is being done. Alternately, we have a comfy waiting room where you can sit and watch the test taking place.